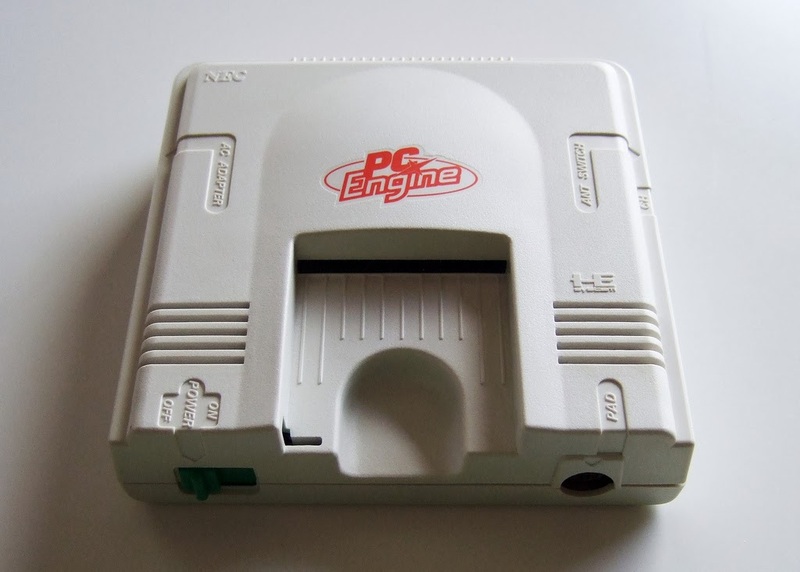 The Gay Gamer: Happy 26th anniversary, PC Engine, and ever-so-slightly belated 25th anniversary, Mega Drive! 2 great gaming systems from the golden age of videogames where cartridges, sprites, parallax scrolling and chipmusic were king. 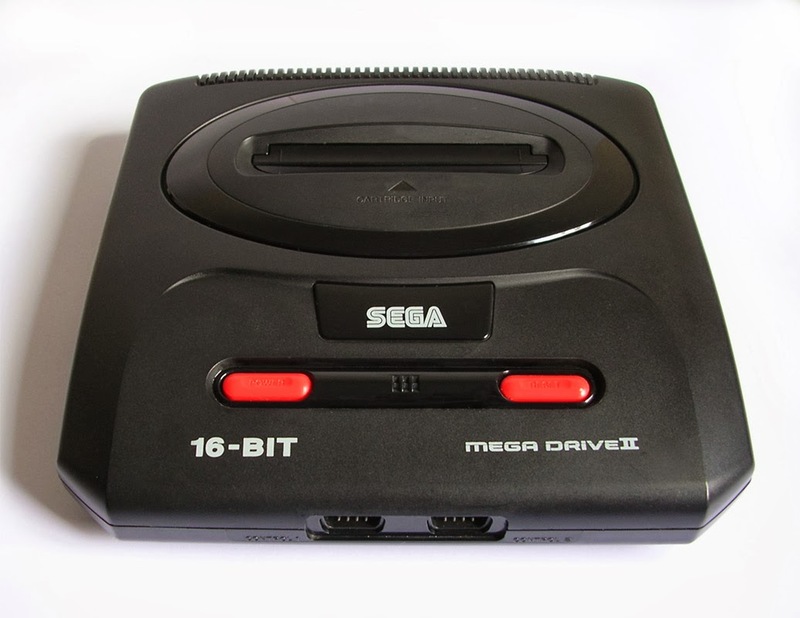 I've owned a japanese Megadrive back in 1988/89, and it's still one of my favorite game consoles ever. Oh, I like the original MD and Genesis design well enough, too Michael. It's so 90s! That said, I think I prefer the MD2 design, just because it's a bit smaller and more streamlined. Also, you're right that the one I included here is the Euro MD2--or at least I'm pretty sure that's the case. Anyway, I also like the Japanese MD2 more than its EU and NA counterparts. I should play a PC engine game someday. Interesting, The Famicom just passed its 30th birthday a couple of months ago too. I think you will definitely enjoy a Mega Drive when you do get one, it is one of my favorites. I never owned or even got a chance to try a Genesis back in the day, so when I got my first MD about 3 years back it was an eye opening experience. Any reason that you specifically want to get an MD2 instead of an MD1? I had one of each until I moved last year and was forced to downsize my console collection a bit. I ended up keeping the MD1 and selling the MD2, but it wasn`t an easy choice. Hey there, Sean! Oh, I've definitely played a slew of MD games, but only via emulation. And of course I've played many actual MD games that were localized for the US market (as Genesis games). I've just never owned an actual MD system or cartridge. As for why I prefer the MD2: I just like that it's smaller and sleeker. Also, I really like the Mega Jet and the CD-X, to tell you the truth. Sadly, I don't think the CD-X was released in Japan, so should I ever get one of those it'll have to be a US one. Yeah, I kind of just like the look of the original MD. It is hard to put a finger on exactly what, actually it would make more sense for me to like the smaller MD2 (living in a tiny Japanese apartment as I do). Anyway, good luck with your quest! One other good thing about the MD which you wouldn`t catch playing them on emulators is the awesome control pads! I simply prefer the design of the MD1. And for an European gamer the MD1 should be the choice because it can be easily modded with a 50/60hz switch, and I also like the headphone jack which the MD2 doesn't have. Well, seems I'm in the minority here. Which is fine with me! I understand preferring the original system's design, really I do. It certainly has more ... verve than the MD2's design, that's for sure!